Eldoret, Kenya, December 2012. Length is about 5 mm. This is a large species; most are much smaller. Chironomidae are small delicate flies that are often mistaken for mosquitoes. 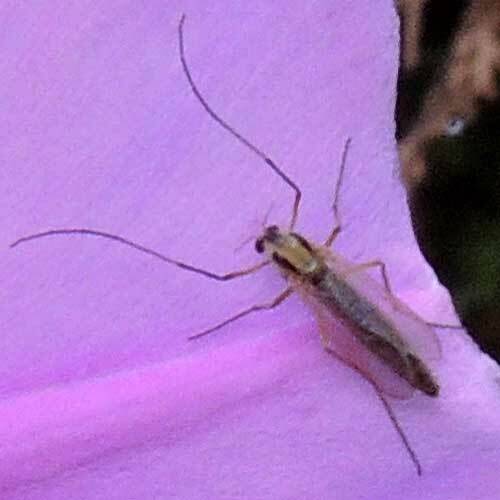 But unlike mosquitoes, adult chironomids lack the elongated specialized mouthparts for taking blood and also lack darker wing scales that are diagnostic of mosquitoes. Both mosquitoes and midges belong to the larger group of flies called nematocerans and both also spend most of their non-adult lives as aquatic larvae. The aquatic larvae of chironomids are often referred to as blood worms because they possess hemoglobin and are red in color.